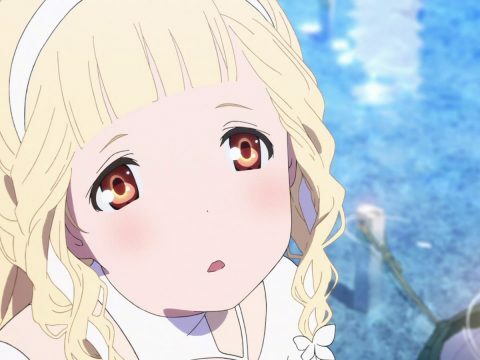 We recently spoke to voice actress Xanthe Huynh, who played the lead role in Mari Okada’s Maquia: When the Promised Flower Blooms. 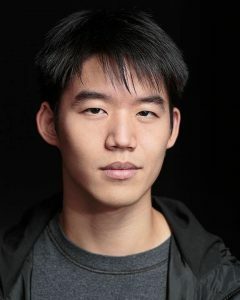 With the English-dubbed debut hitting select U.S. theaters today, it was only appropriate that we follow it up and give Ariel voice actor Eddy Lee a shot at the same questions. You’ll know Eddy from a variety of roles—such as Gladion in Pokémon Sun & Moon, Moon Shadow in Yu-Gi-Oh! Arc-V, and Kuzzey Buskirk in Mobile Suit Gundam Seed—so let’s see how he approached his role as Ariel and how he reacted to Maquia. Maquia is a very distinct work by a creator with a unique voice. What were your first thoughts about Okada-san’s creation when you were brought in on the project? I was through the roof when I found out I was going to be a part of this project! I remember getting the audition material and being captivated just from the short character sides they gave us. Just watching the trailers for my research I could tell it was an incredibly special film. I would have been happy being a part of it in any capacity. So I couldn’t believe when I found out I was going to voice adult Ariel! All I was thinking was that I had to do my absolute best to help tell this beautifully powerful story as truthfully as possible. How did that come about? Did you audition for specific roles in Maquia? I did! I got a packet with a whole bunch of characters and read for a handful of the Male Characters that I thought I could play believably. Ariel caught my eye and was the one that spoke the most to me, but I also read for Lang, Barou, Krim, and even Teen Ariel. I’m really glad they decided to cast age appropriately for Ariel, though! Both Ryan Shanahan (teen Ariel) and Barnaby Lafayette (Child Ariel) do such an amazing job and bring an authenticity that the film absolutely deserves! I’m honored to be part of this Ariel Trio! 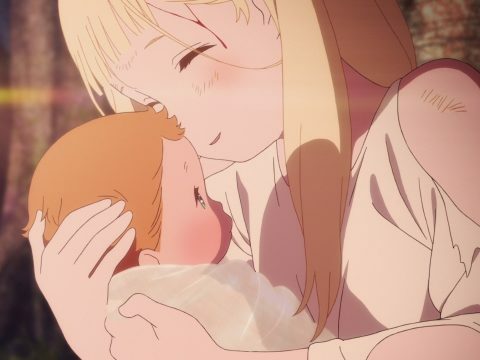 Both Maquia and Ariel have such an interesting relationship as mother and adopted son. It can get pretty raw at some points of the film. How did you two work together to capture the emotion throughout? Actually, Xanthe Huynh and I haven’t had a chance to meet yet! The dubbing world is very interesting in that because of so many variables it’s more cost effective to record each character separately. So it was actually more on our awesome directors, Kevin T. Collins and Michael Schneider, to convey to us all the details and keep the story and the emotional journey intact. I was fortunate because when I went to the studio Xanthe had already recorded all our scenes. So I actually got to act off of all her amazing choices! She made my job so much easier! Haha. Here’s hoping we actually get to meet in person some day, Xanthe!! Amazing Job! Bravo!!! 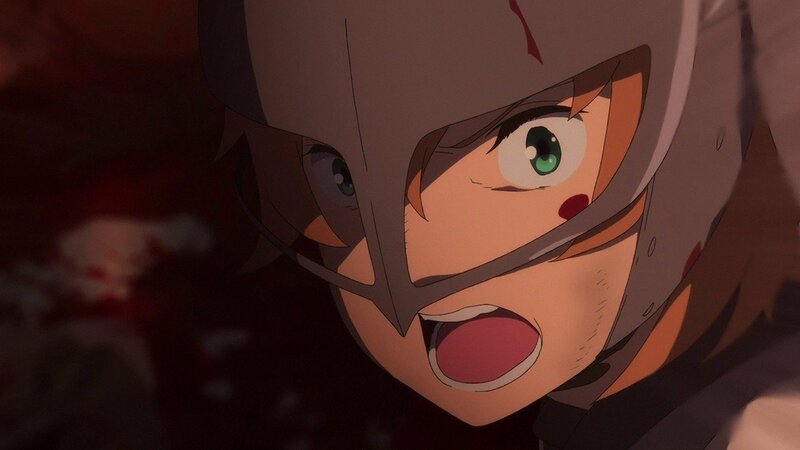 And now for the question everyone who sees this movie has to ask: How hard did you cry the first time you saw Maquia? What do you think makes it hit such a nerve with so many viewers? Oh my gosh!!! I was sobbing! I was not ready! HAHA! I think it’s because we as humans are built for connection and we’ve all experienced relationships like Maquia and Ariel’s. Whether it’s with a biological parent, an adopted parent, a mentor, a best friend, Whoever! We’ve all loved, sacrificed and mourned people we care about, and although it’s sad to see people go. When you look back to what you’ve experienced and how you’ve grown. You see that those connections are special and to be cherished for a lifetime! 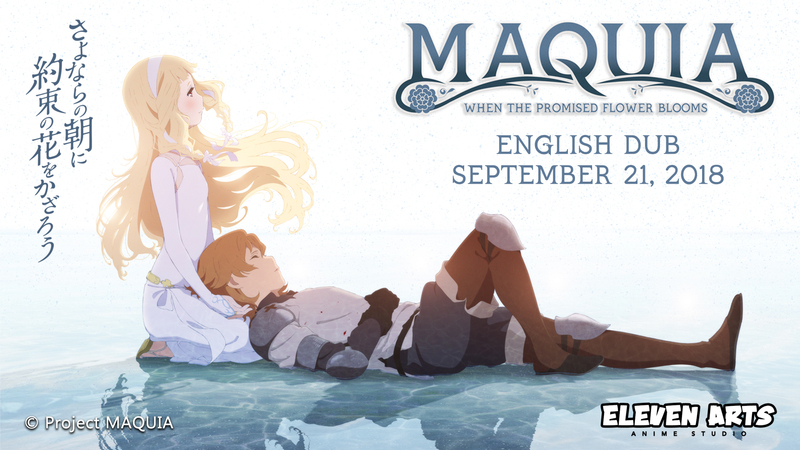 The English dub of Maquia: When the Promised Flower Blooms opens in U.S. theaters on Friday, September 21, and you can see if it’s playing near you and grab tickets here.